This is one of those cases when it’s fairly easy to detect where these guys are from even if I hadn’t read the information about them. Greek black metal has a rather distinctive sound – it tends to be fairly atmospheric and usually has at least some melodic parts. Rotting Christ, Astarte and Naer Mataron are good examples of this style. So Karma Violens are in good company. There’s more than just a hint of black metal. There’s the slower, gloomy, atmospheric tracks like Serpent God which reminded me of early Mayhem due to the raspy vocal style. Then they occasionally pick up the pace with more aggressive-sounding, faster songs such as The Constractors where the guitars and the pummeling drums really take the reins. A Letter to the Worthless Chamber caught my attention as one of the more memorable songs on here, it’s got this “still creepy but almost catchy” black metal feel to it that made me think of the later works of Immortal mixed with some elements of Naer Mataron. Overall, I am relieved that this wasn’t metalcore. Karma Violens were clearly aiming to create an atmospheric black metal album, and in that they have succeeded. ‘Serpent God’ isn’t a ‘flawless album’ but it definitely has its moments. It’s busy times for The Raven Age. They recently completed their UK tour with Savage Messiah and gained a new singer. 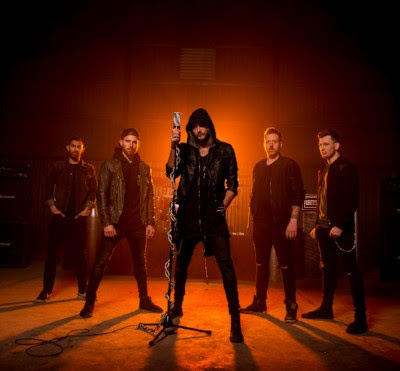 Now the British groove metal band have announced that they will be joining Killswitch Engage on their European tour this summer starting in Sweden late next month. In addition to this, they will also be supporting Iron Maiden as well as playing a show with Shinedown and another date with Tremonti. A new album is in the works. No other details have been announced yet. Stay tuned for more. 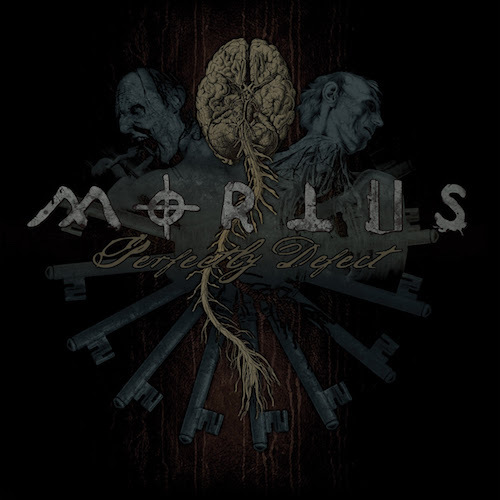 Good news for Mortiis fans… The Norwegian industrial metal band has decided to re-release their ‘Perfect Defect’ album which has been long out of print. The album was originally released back in 2010 as free digital download available exclusively from the band’s website and a very limited CD version available at the band’s shows. Unlike the earlier editions, the re-issued version will feature all twelve of the original tracks from the recording session. The re-issue of ‘Perfectly Defect’ is scheduled for 1st June 2018 via their own label Omnipresence Records. Powerwolf have just announced that their new album, the follow-up to ‘Blessed & Possessed’ will be called ‘The Sacrament of Sin’. The release date has been set for 13th July 2018 via Napalm Records.